Update: May 24, 6:00 p.m. The lawsuit brought by Oakland and San Francisco against large oil companies will move forward. But not because Judge William Alsup ruled on the oil companies' motions to dismiss the case at today's hearing. Instead Alsup is asking both sides to prepare additional written arguments by next week. He's requested each provide a 10-page brief outlining whether he needs to balance the benefits of fossil fuels with their impacts in this case, and why. He's also given them two months to collect more evidence, in the form of documents and interviews. The additional evidence is meant to clarify whether the case is within the jurisdiction of the court. A final ruling on the motions to dismiss is expected in August. If the case does move forward, it could be the first of its kind to go to trial. It’s a make-or-break day in court for the Bay Area cities claiming oil companies are legally responsible for climate change impacts. On Thursday, a federal judge will hear arguments about whether to dismiss claims from San Francisco and Oakland against Chevron, Shell, BP, ExxonMobil and ConocoPhillips. “Climate change is a serious issue but litigation is not a serious solution to the problem,” says Josh Lipshutz, a partner at Gibson, Dunn and Crutcher, the firm representing Chevron. 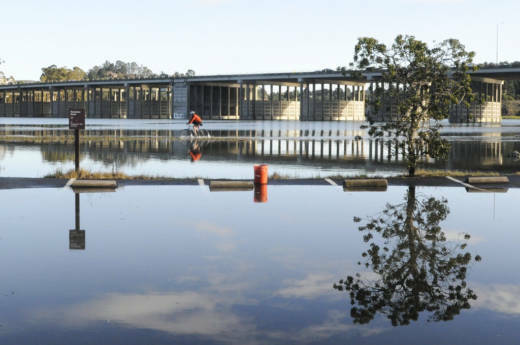 The cities argue that carbon emissions from the fossil fuels produced, refined and sold by the companies are directly responsible for changing climate and for its key impact along Bay Area shorelines: rising seas. Last September, cities brought claims under California public nuisance law, which has offered relief where companies fail to notify customers of the dangers of their products. San Francisco and Oakland are seeking millions of dollars to help the region adapt to rising sea levels. A state-commissioned report on climate change last year found that sea levels could swell by more than three feet by century’s end, and in catastrophic emissions scenarios, by as much as 10 feet. Lawyers for the oil companies countered, successfully, that federal law governs the companies’ activity, forcing the cities to amend their initial claims. The companies also maintain that no federal common law claim exists to provide the cities a remedy. Climate science has played a prominent role in the early stages of the legal dispute. District Court Judge William Alsup drew attention to the case when he took the unorthodox step of asking both sides for a “climate tutorial,” back in March. At the same time, he also invited the Trump Administration to weigh in. In a friend-of-the-court brief, filed two weeks ago, the federal Justice Department has argued that the Clean Air Act preempts the cities’ common law claims, and that federal regulators -- not courts -- should handle the problems of carbon emissions and pollution. Three states – California, New Jersey, and Washington – have sought the right to file an amicus brief on behalf of San Francisco and Oakland, while Republican attorneys general from 15 states, including Colorado, Kansas, and Louisiana, have sided with the oil companies. Following the Thursday hearing, Judge Alsup could agree to dismiss the case on the spot, order the cities to amend their claims further, or permit the case to proceed. As the dispute between these two cities and five oil companies has proceeded in one federal courtroom, in another, similar legal claims are taking a more circuitous route forward. In March, federal District Court Judge Vince Chhabria sent claims from three other local jurisdictions – San Mateo County, Marin, and Imperial Beach – to state court. Those claims remain in legal limbo while the industry defendants seek to move them back to federal court. If Alsup sends San Francisco and Oakland's claims forward to trial, it would be the first climate liability case to get that far.